Companies on the New York Stock Exchange appear in the Dow and the S&P 500 but not the Nasdaq composite. 3. What Does the Nasdaq Number Mean? Look at the front page of a newspaper's business section or the home page of a financial website and you'll usually find listings for the Dow Jones Industrial Average (DJIA), the Nasdaq Composite and the S&P 500. These three indexes are often treated as indicators of the overall health of the stock markets – and of the economy as a whole. But in truth, they tell you something only about certain segments of the market. These three indices differ based on factors such as the number and types of stocks listed, the industries focused on and the sizes of companies traded. All of them use weighting for stocks. Probably the most famous stock market indicator of them all, the DJIA is also one of the most exclusive. The "Dow" includes only 30 stocks, all of which are among the largest, richest and most heavily traded companies in the United States. The Dow includes companies from all major sectors except utilities and transportation, which have their own separate Dow Jones indexes. Although many people view the DJIA as an indicator of the broader market, in reality the movements of the Dow tell you something only about how large "blue chip" stocks are faring. The Nasdaq composite index includes all companies listed on the Nasdaq Stock Market – more than 3,300 stocks in all. As such, it's considerably more broad-based than the Dow. However, the Nasdaq has a high concentration of technology stocks, so the composite index is more sensitive to that industry than other sectors. The composite index shouldn't be confused with the Nasdaq 100, which is an index of the 100 largest companies listed on the Nasdaq stock market. Standard & Poor's, the company behind the S&P 500, bills it as the "best single gauge" of the current condition of U.S. equity markets. The index includes 500 companies from all sectors of the economy with stocks listed on either the New York Stock Exchange or the Nasdaq. Combined, the companies in the S&P 500 account for about 75 percent of all U.S. stock. Although the S&P 500, like the Dow, is made up of large companies, it's still considered a more reliable gauge of the broader market because of the sheer number of companies it tracks. The Dow Jones Industrial Average has been published since 1896, when it was created by "The Wall Street Journal" founder Charles Dow. The S&P 500 first appeared in 1957. Both indexes are now maintained by "S&P Dow Jones Indices," a unit of Standard and Poor's. The Nasdaq composite index came into being in 1971 and is published by the Nasdaq market itself. The value of each of the three indexes is tied to the share prices of the stocks of the companies included. However, the stocks in each index are "weighted" – meaning some have more influence than others over the total value of the index. Weighting is done on the basis of companies' share prices, their current market value and other factors. How Are the Numbers Measured on the NASDAQ Composite? 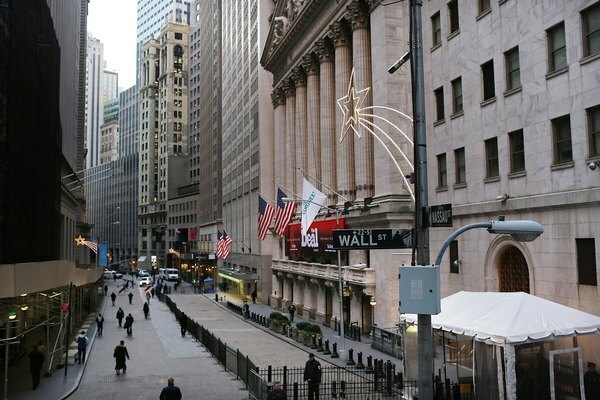 What Is the Dow Jones Sustainability Index? How Is the S&P 500 Index Weighted?